Come and see in 2019 with us! 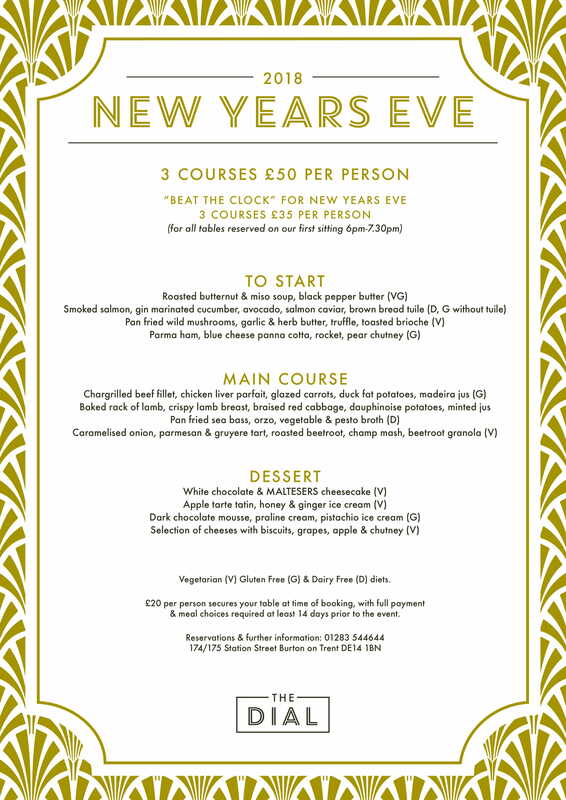 This New Years Eve we are proud to offer 2 dining experiences for you to choose from! Whether you’d prefer to dine off a 3 course meal in the restaurant or enjoy sharing plates in the bar area, our menus are sure to hit the spot! For the sharing plate option we would require a £10 person deposit to secure your table at time of booking, with orders being taken on the night. 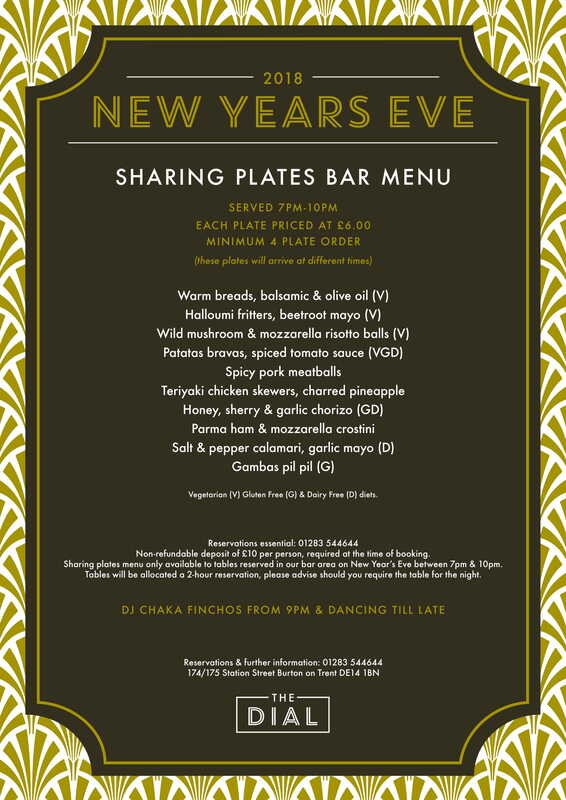 We also have music from DJ Chaka Finchos 9pm until late! The bar is also open if you’re wanting to pop in to see in the new year with a cocktail & a boogie! There is a door charge of £5 per person after 10pm! So make sure you get in nice and early! Call us to reserve your table, 01283 544644. What better way to see in 2019!